The sciatic nerve is the most massive single nerve in the body that bridges the spine and the lower extremities. It is fed by a total of five nerves originating from the spinal cord, transcending the length of the lower spine to the buttocks, branching out, and continuing to the foot. It innervates the skin and muscles of the lower limbs via the tibial and peroneal nerves. It also provides strength to the legs and is responsible for the reflexes there. Sciatic pain, also called sciatica, is the pain affiliated with the sciatic nerve. It is brought about by different reasons, but is mostly due to the swelling of the sciatic nerve, or the nerves leading to and from it. The symptom involves pain emanating from the lower back, sometimes including the legs up to the foot. It may be felt as a stabbing pain, numbness, or as a tingling sensation, and is usually worsened with certain movements and prolonged sitting. Sciatic pain may also be accompanied by weakness of the lower limbs, and a significant reduction in reflexes. What are the causes of Sciatic Pain? How is Sciatic Pain treated? What is a Piriformis block? Piriformis block is a procedure which directly administers numbing agents to the piriformis muscle, a muscle in the buttocks area where five spinal nerves converge to the sciatic nerve. It is sometimes done as a diagnostic procedure for determining if the piriformis muscle is occluding the nerve causing the irritation, as in cases of Piriformis syndrome. It is also done as a form of therapy with the goal of significantly lessening the pain using numbing agents and corticosteroids, in order make physical therapy procedures for inflamed muscles more tolerable for patients. In severe instances, the muscular spasms in the piriformis are persistent and resistant to anesthetics, so muscles are weakened and loosened with the use of botulinum toxin, eventually relieving the sciatic nerve of pressure. How is Piriformis Block done? Piriformis block procedures are carried out by first preparing the patient’s skin with antiseptic, and then boundaries of regions in the lower back are marked. The doctors then sometimes use superficial and deep local anesthesia to desensitize the area to be punctured. Then the doctor may insert a needle probe which is withdrawn and visualized fluoroscopically. Alternately, the insertion may be guided by ultrasound so as to precisely locate the piriformis muscle, and upon confirming the correct positioning, the agents are injected. Patients are then monitored for the effect of medicine, and may be further recommended for physical therapy or surgery. 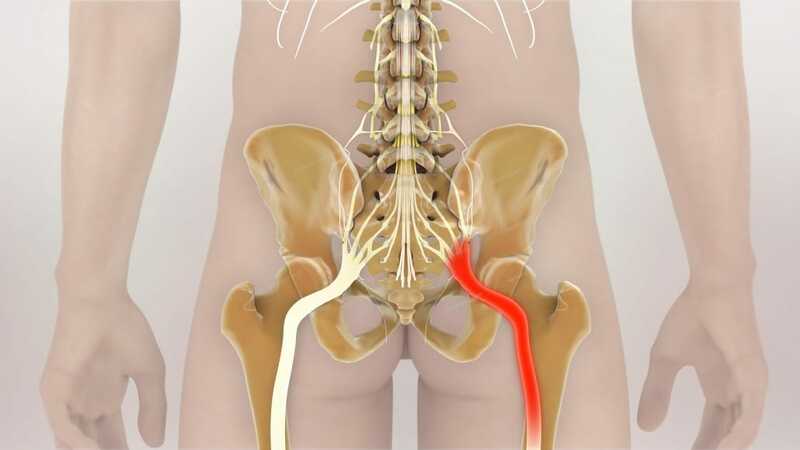 Where are Piriformis Block services offered? Dr. Kevin Li, MD is a physician of excellent training and experience, who specializes in techniques which are minimally invasive for pain management. His extensive work in anesthesiology and individualized therapies will guarantee that the best and most effective treatment will be made available to you under his care. Just call his Los Angeles clinic at (626) 538 – 8950 to set an appointment, and start on your path towards healing!